This simple recipe has only 5 ingredients and is refreshingly delicious. Enjoy anytime of year and anytime of day. 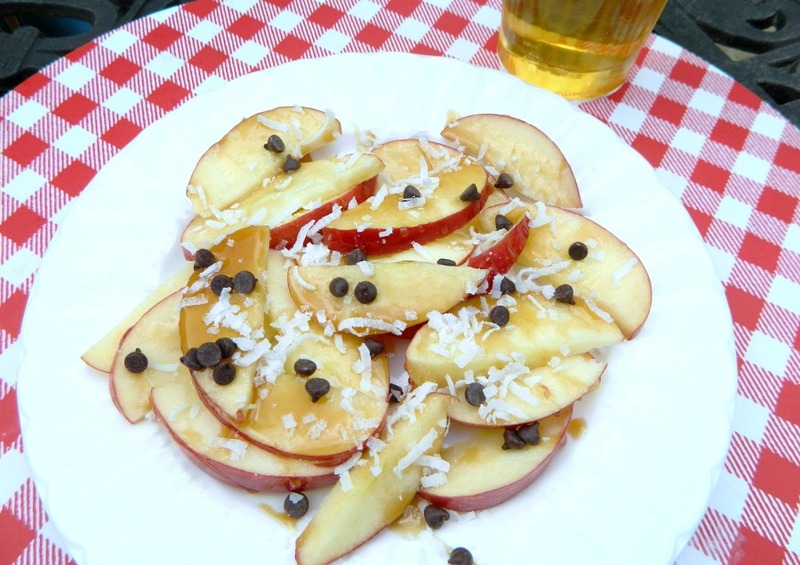 This is a fast and easy snack or dessert that is always a crowd pleaser. 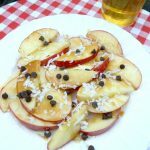 We are big apple lovers in my house so when it’s apple picking time I make this at least once or twice a week. In the spring and summer, it’s a nice change to enjoy while sitting in the backyard with my family. I put toppings we love on the apples, but go ahead and put your own spin on it — be creative. See those little fingers? That’s my little guy, Josh’s hand in the picture. He just couldn’t wait to grab an apple before I took a picture of the nachos. Wash and dry the apple. Slice very thin. Measure out syrup or honey and microwave only about 7-10 seconds until warm and runny. Distribute your sliced apples on the plate and squeeze the lemon or orange juice over the apples. Drizzle sauce over the apples and then sprinkle the coconut and mini chips on top. Enjoy!! This simple recipe has only 5 ingredients and is it refreshingly delicious. Enjoy anytime of year and anytime of day. 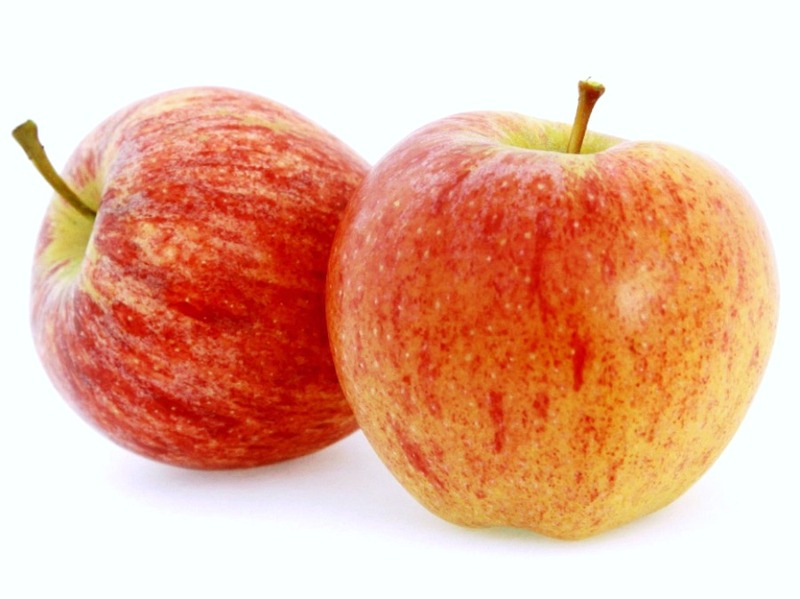 1.Wash and dry the apple. Slice very thin. 2.Measure out syrup or honey and microwave only about 7-10 seconds until warm and runny. 3.Distribute your sliced apples on the plate and squeeze the lemon or orange juice over the apples. 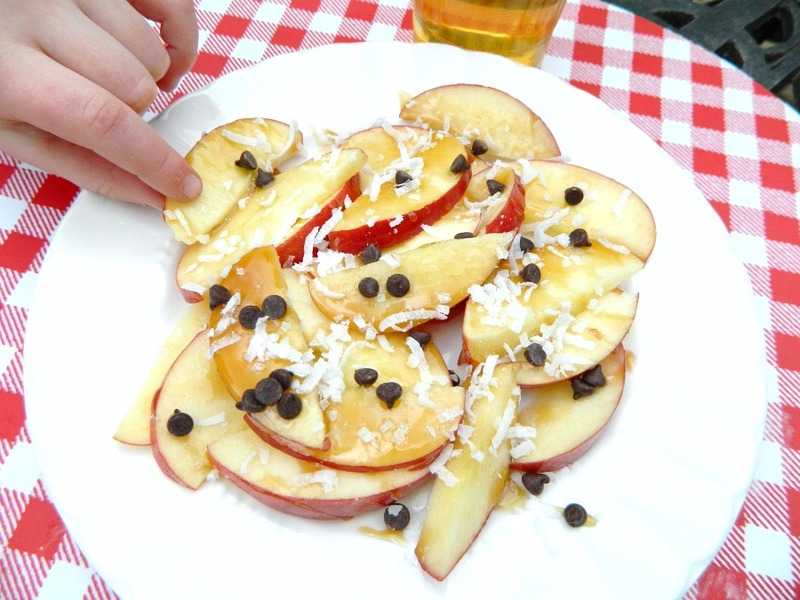 4.Drizzle sauce over the apples and then sprinkle the coconut and mini chips on top. Enjoy! !